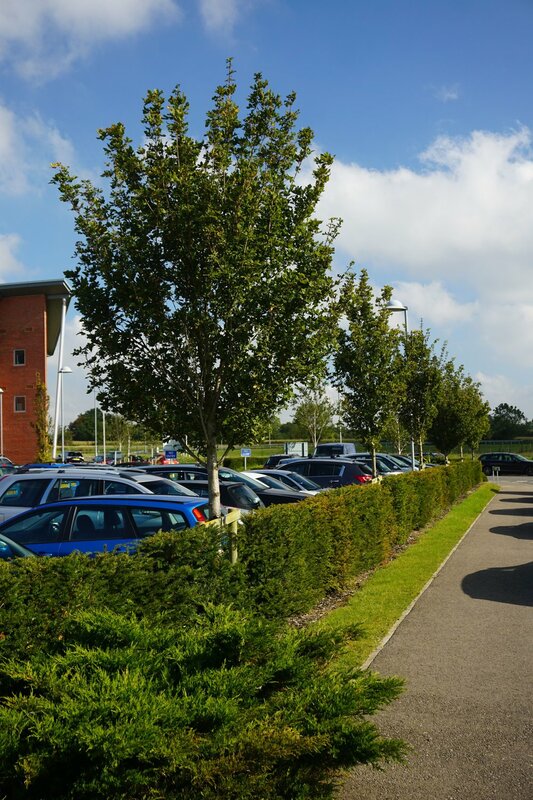 ISL Associates Ltd has a long involvement in commercial projects, ranging from office and warehouse developments to retail and leisure developments. All aspects of services are provided from initial site survey, landscape & visual assessment to - masterplanning, detail design and site inspections. 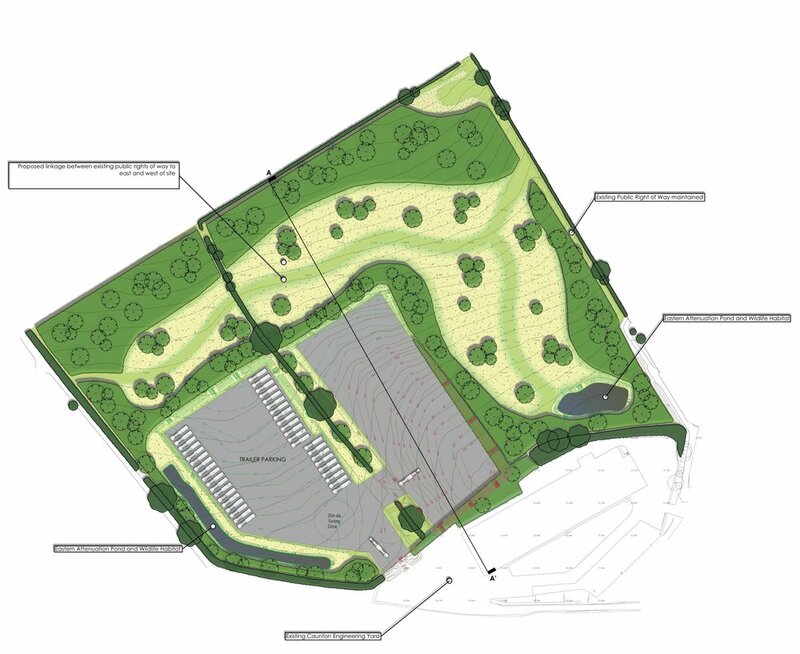 ISL Associates were commissioned to prepare both a Landscape & Visual Assessment and landscape mitigation proposals for this proposed development in Wainstalls, near Halifax. The client wished to expand his existing premises with two new units, however, the site is surrounded by rising moorland and hills in an area of particularly attractive countryside. Our landscape assessment and landscape proposals persuaded the local authority that no undue harm would be caused to the surrounding landscape and planning permission was granted. 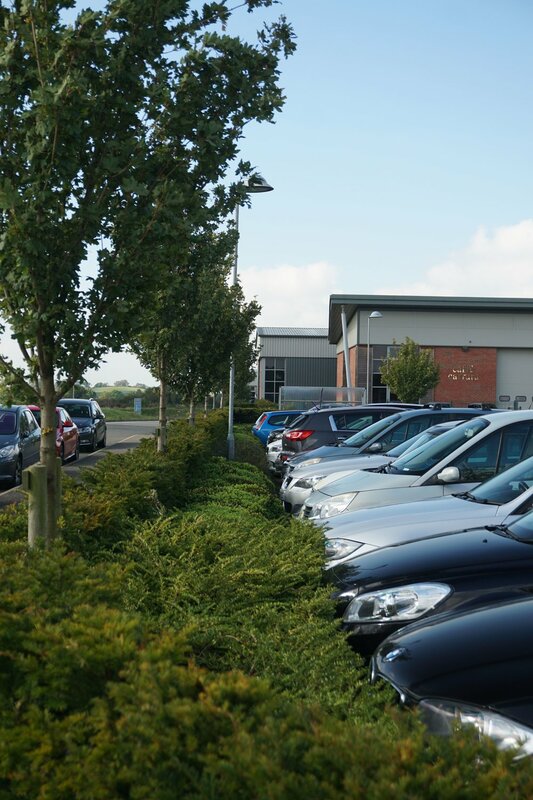 ISLA were commissioned to prepare a landscape strategy for this business park on the edge of Market Harborough. The key objective was the creation of a significant boundary structural planting zone to integrate the development into the surrounding landscape. ISL Associates were commissioned by our client to produce a comprehensive Landscape Strategy for this landmark development at the northern gateway into Leicester. The site is situated next to Leicester’s Watermead Park, an important green space within the local area, and the landscape strategy draws on this to create a ‘managed wildness’ to the development, aschewing the traditional approach of manicured shrub beds and to work with the local site ecology. The development will form a transition zone from the adjacent urban and commercial areas to the natural areas of Watermead Park. Native species local to the area will be used throughout and new habitats of meadow, woodland and water will be created. A key element of the design is the use of natural swales to move water through the site, these swales along with other features allow for easier wildlife movement through the site. Caunton Engineering are one of the UK's premier specialist steel manufacturing companies. Based in Eastwood, Nottingham, the existing manufacturing site is based around a former colliery site. However, expansion opportunities are limited due to the close proximity of the adjacent green belt. 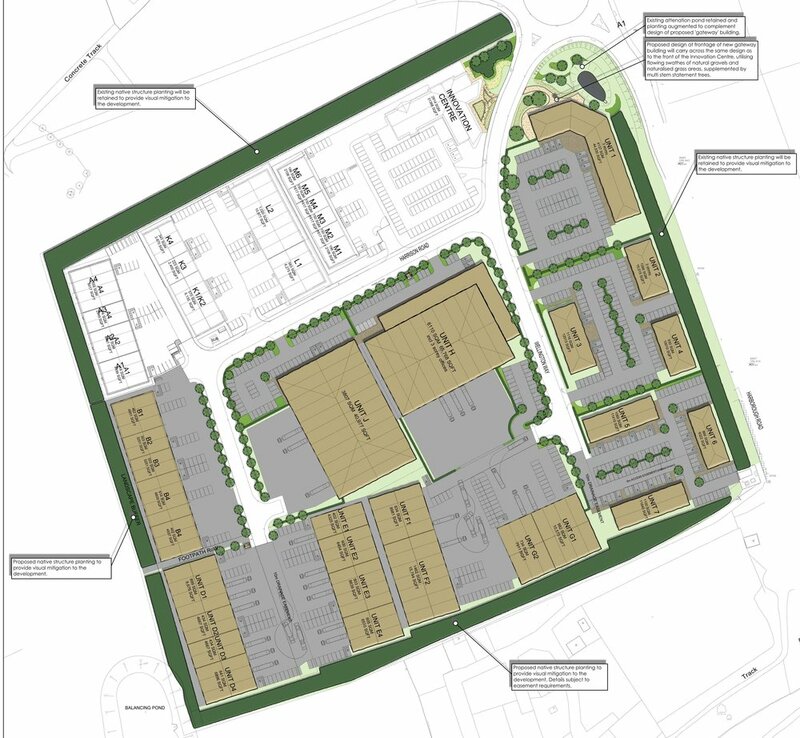 ISL Associates Ltd were commissioned to undertake a landscape & visual assessment of the surrounding countryside and assess the impact of a proposed expansion into a neighbouring field. An indicative masterplan and mitigation scheme was also prepared, which highlighted the potential landscape & visual improvements to the locality if the development goes ahead.